Dogwood Canyon Nature Park is a 10,000-acre slice of alluring Ozarks paradise located in Lampe, Missouri. 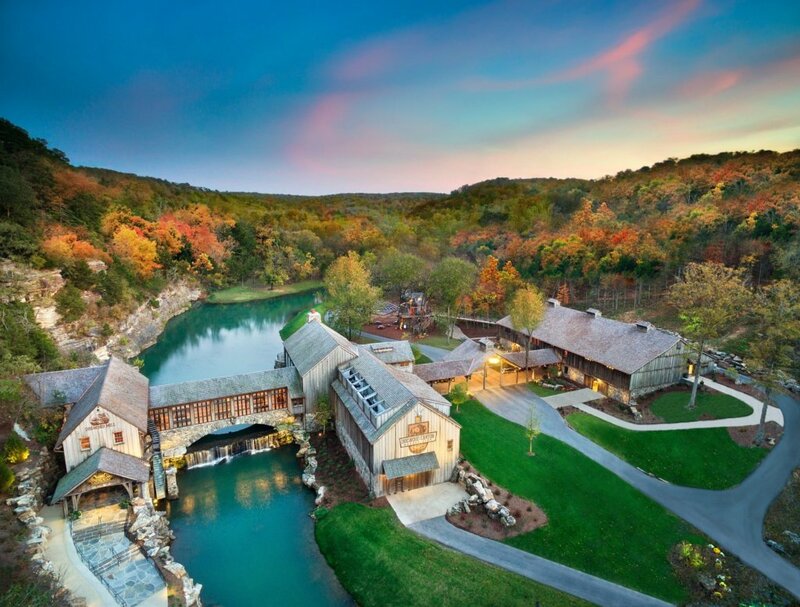 The vision of Bass Pro Shops founder Johnny Morris, the not-for-profit park serves as an outdoor playground dedicated to connecting families with nature while conserving the rich history and natural beauty of the Ozarks. The park offers hiking, biking, Segway tours, wildlife tours, horseback riding, and trout fishing set against a backdrop of towering bluffs, waterfalls, spring-fed creek beds, and wildlife such as American bison, Rocky Mountain elk and white-tailed deer. The park also features a fully restored working gristmill, museum, restaurant, and conservation education center that connects to a treehouse built by Animal Planet’s Treehouse Masters.